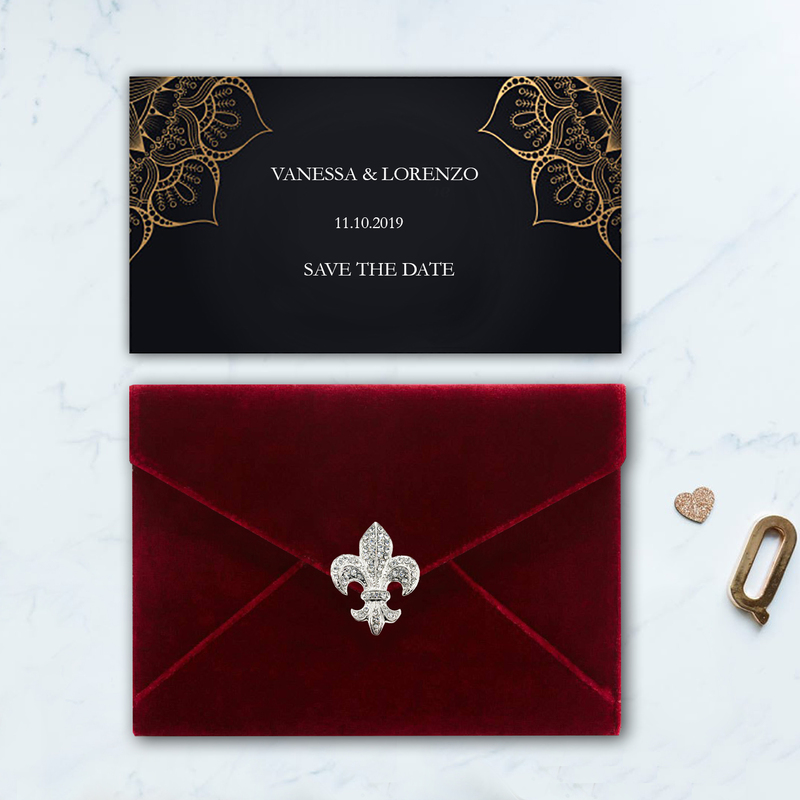 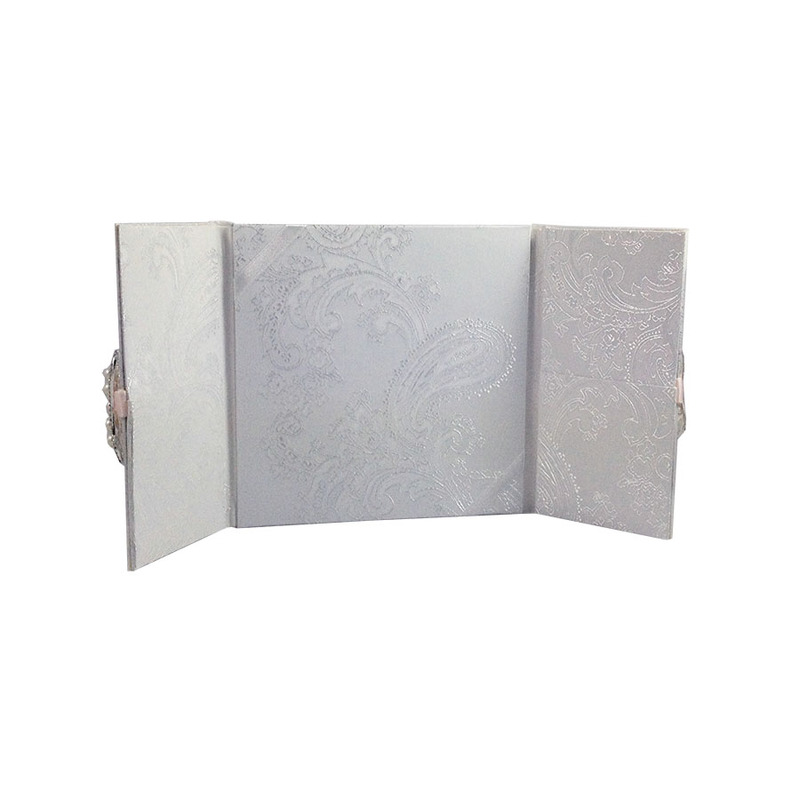 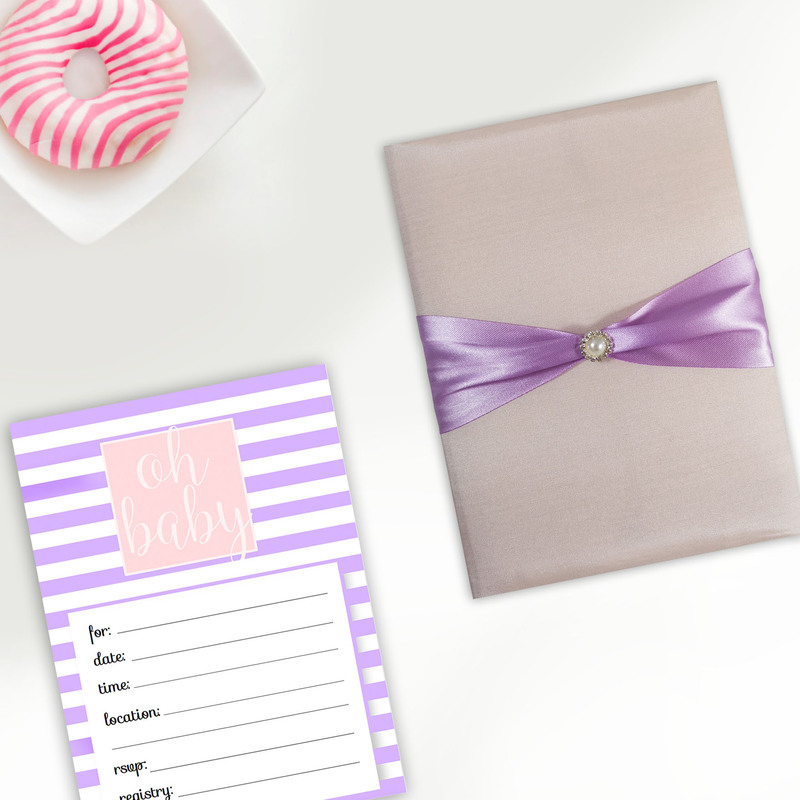 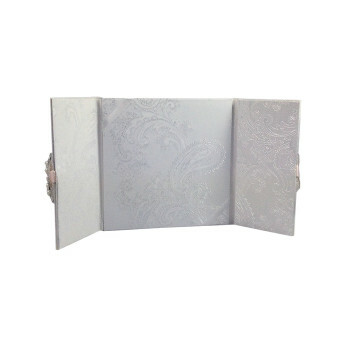 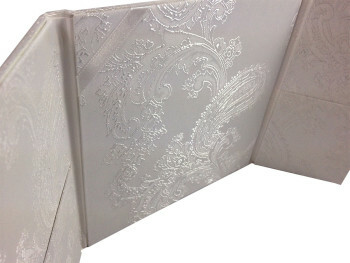 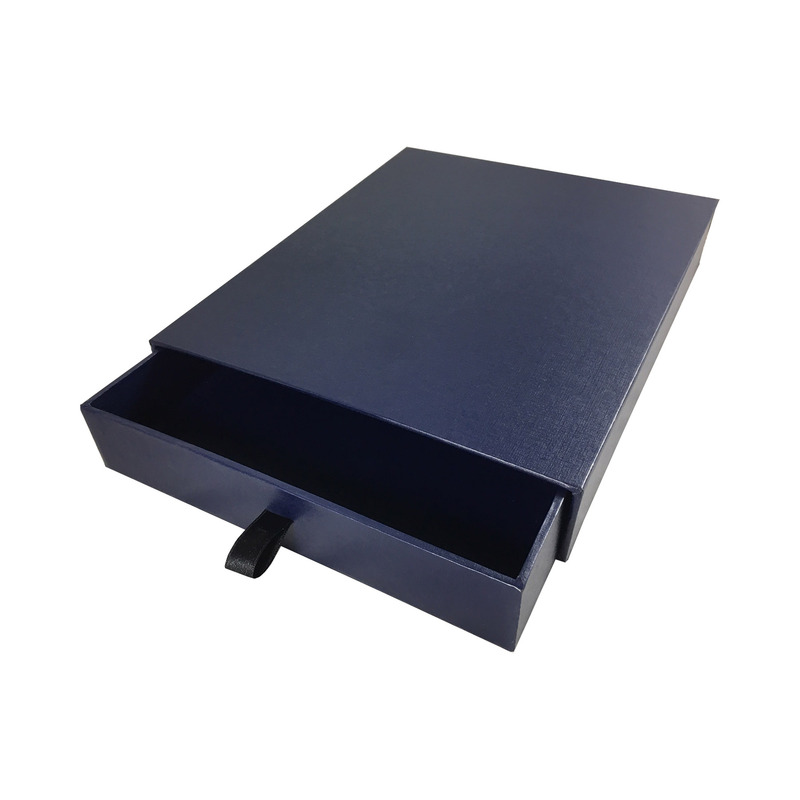 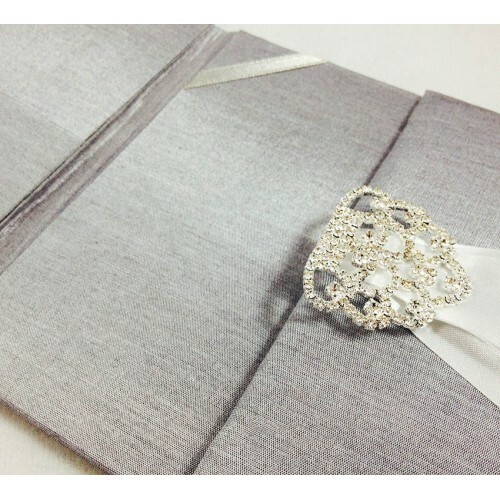 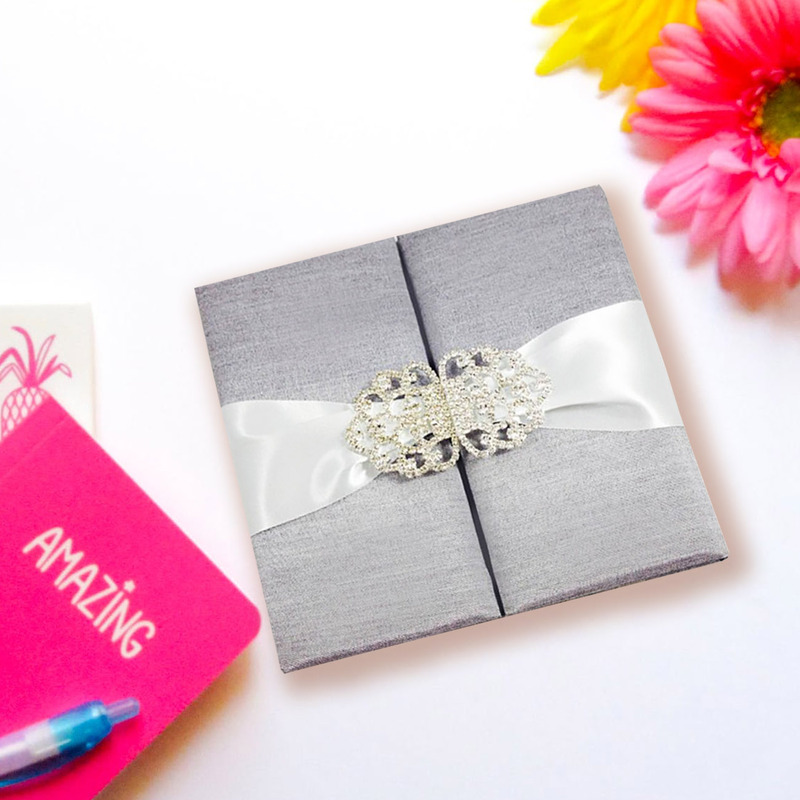 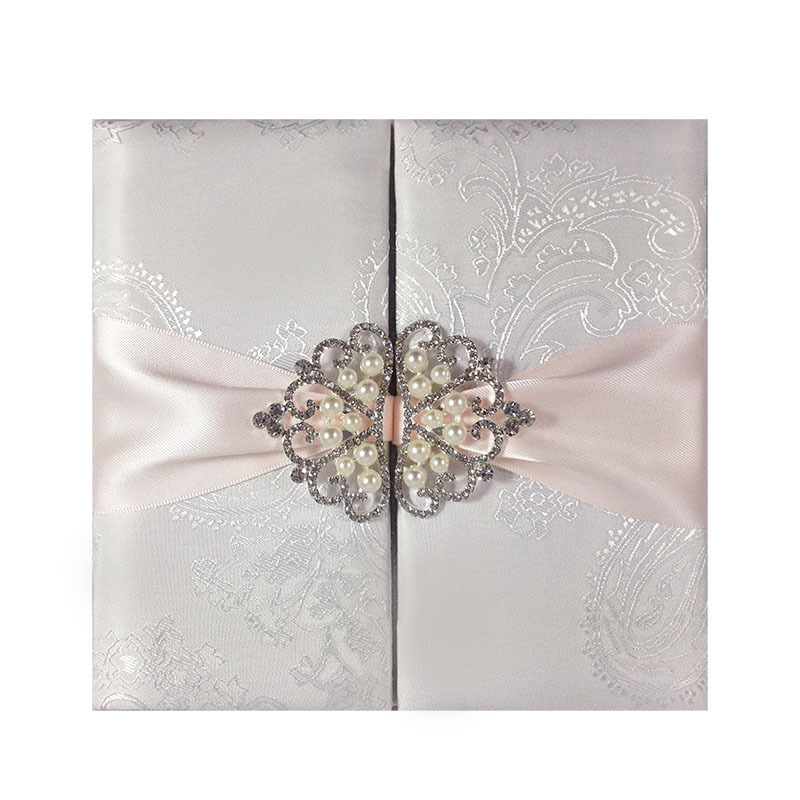 Our designer permanently develop new luxury invitation designs that stand out. 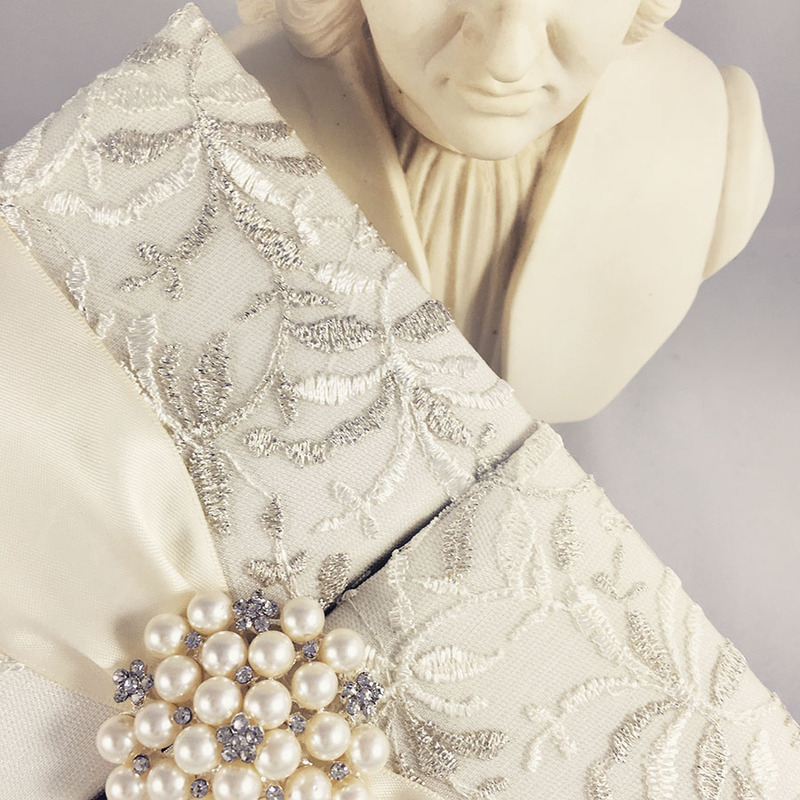 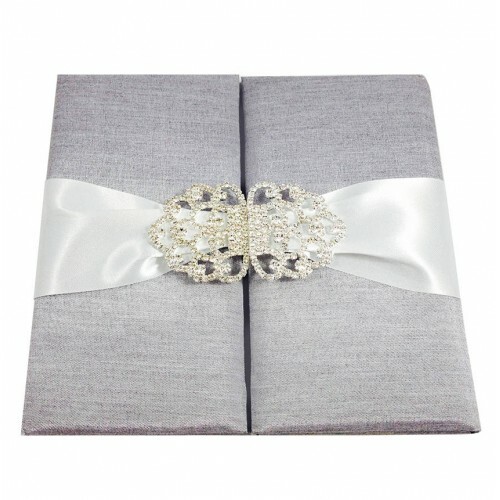 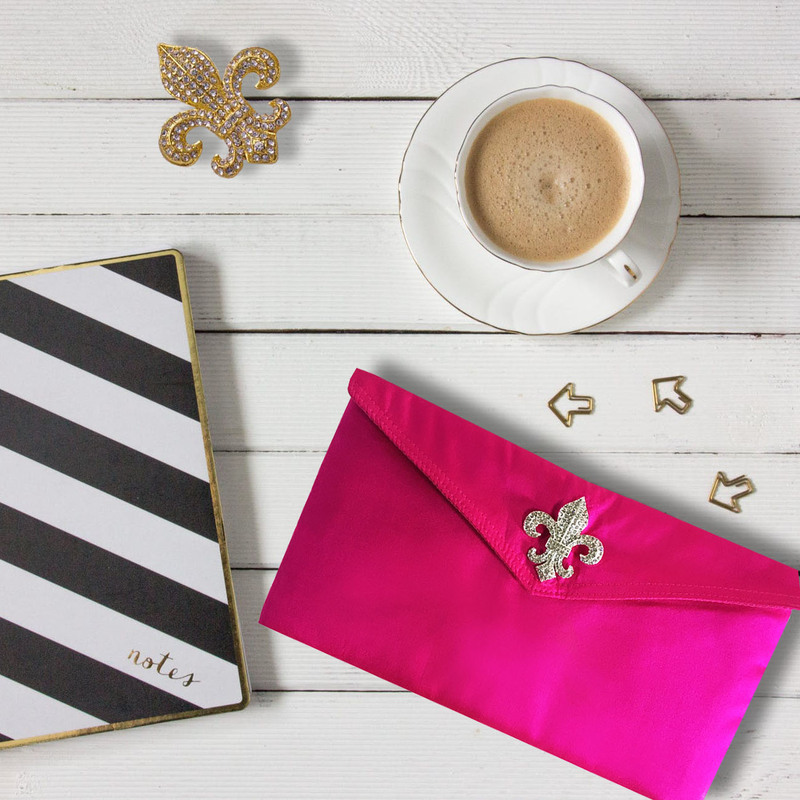 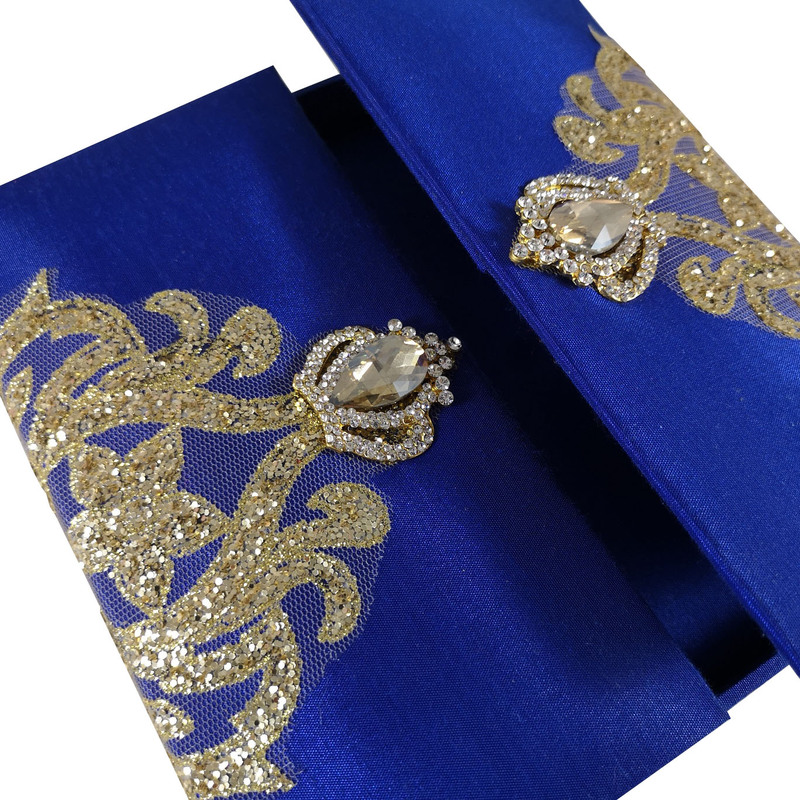 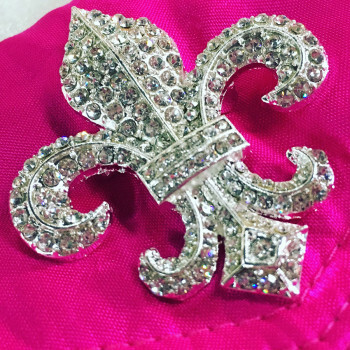 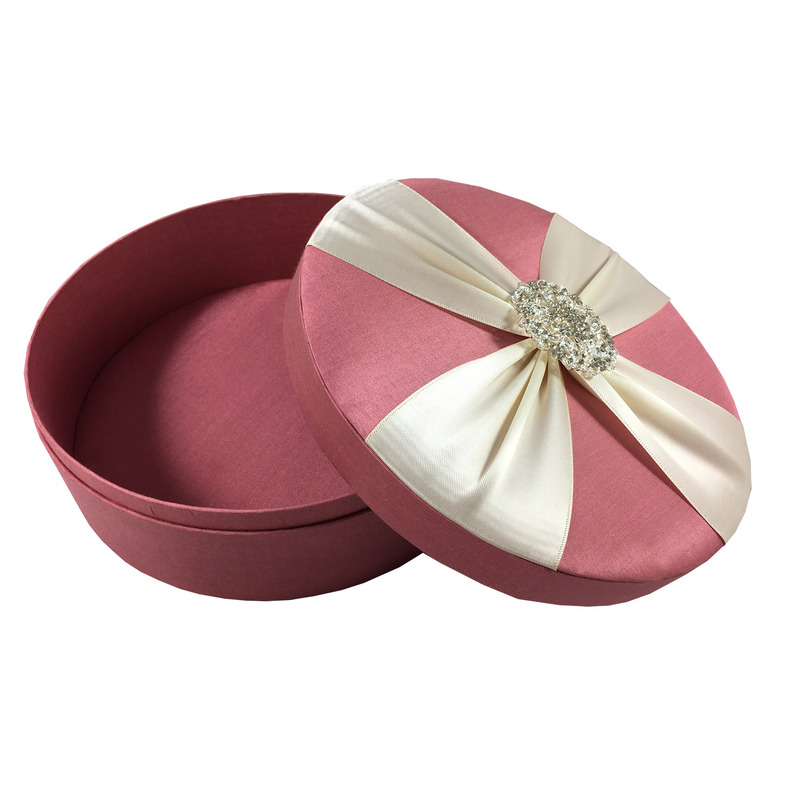 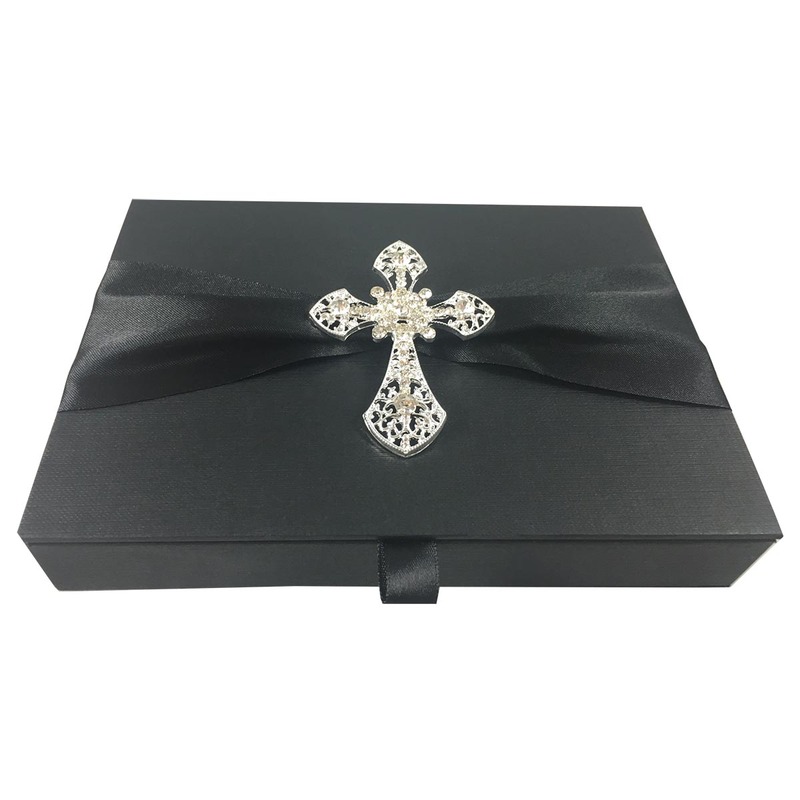 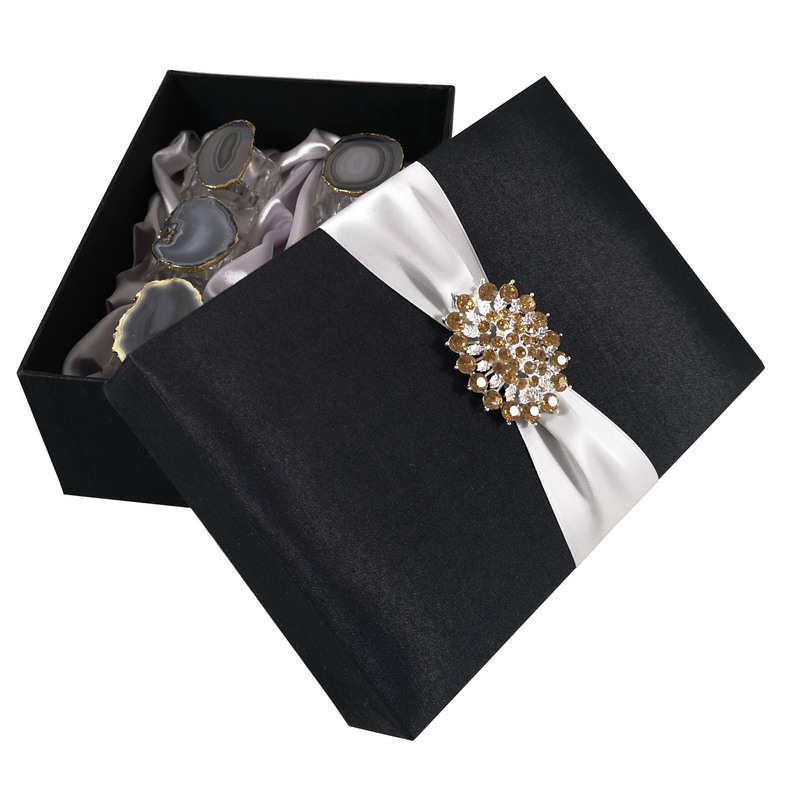 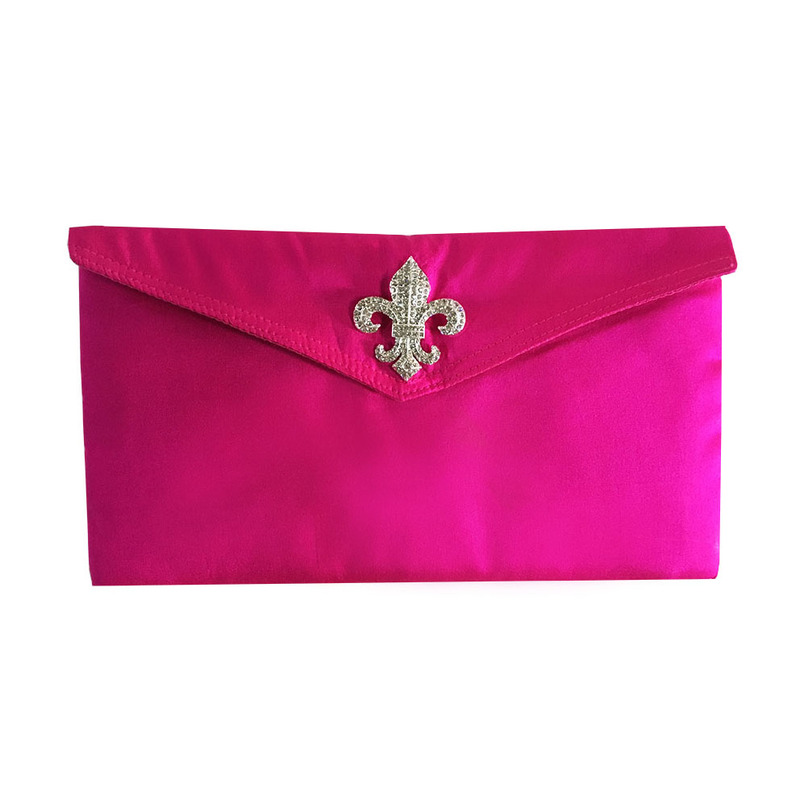 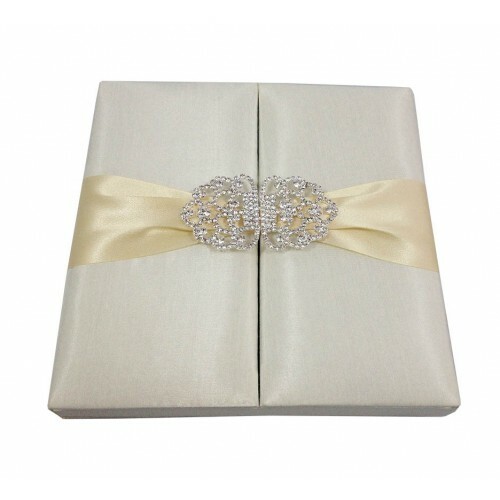 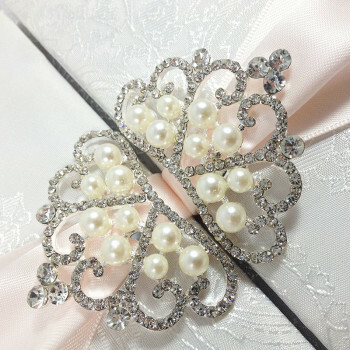 This padded velvet envelope with fleur de lis crystal brooch embellishment is one of them. 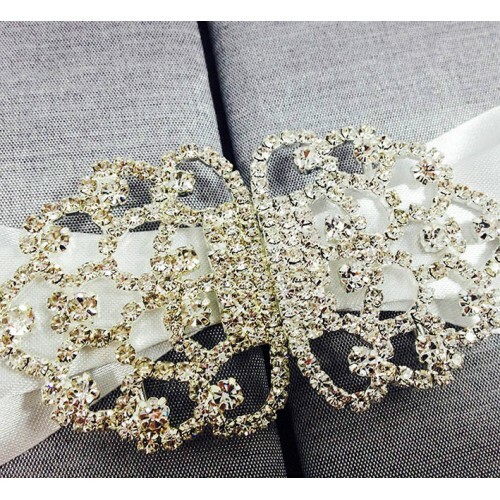 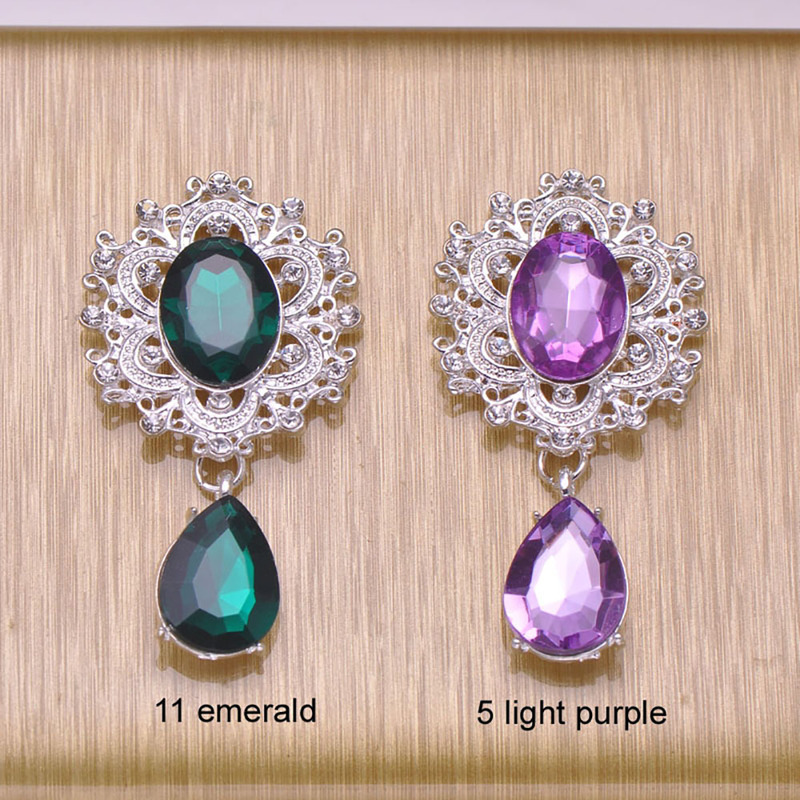 Our clients can customise the design if needed, change the size or color with us let us replace the brooch with something different. 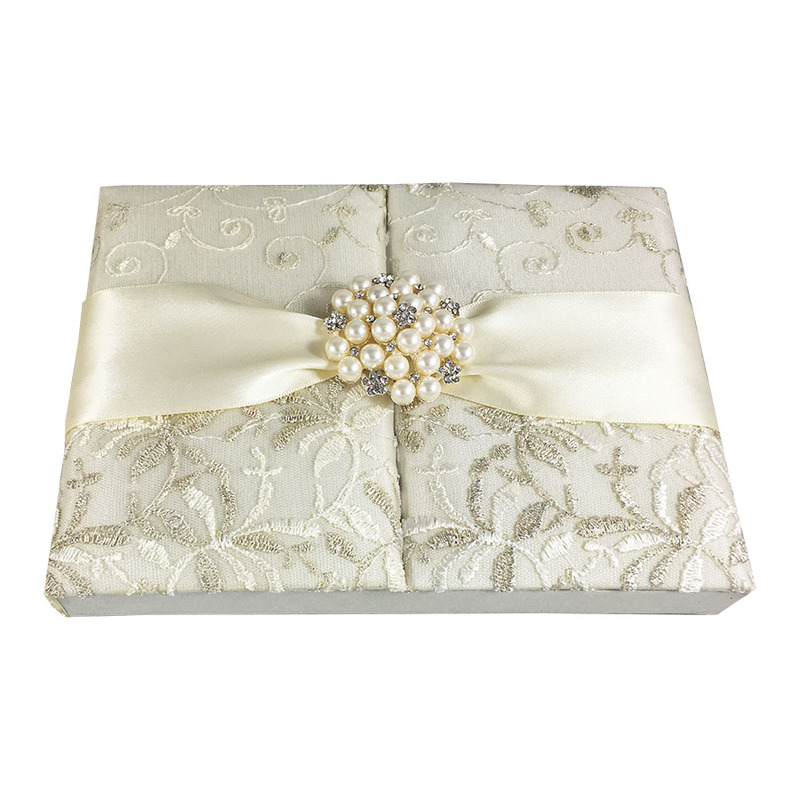 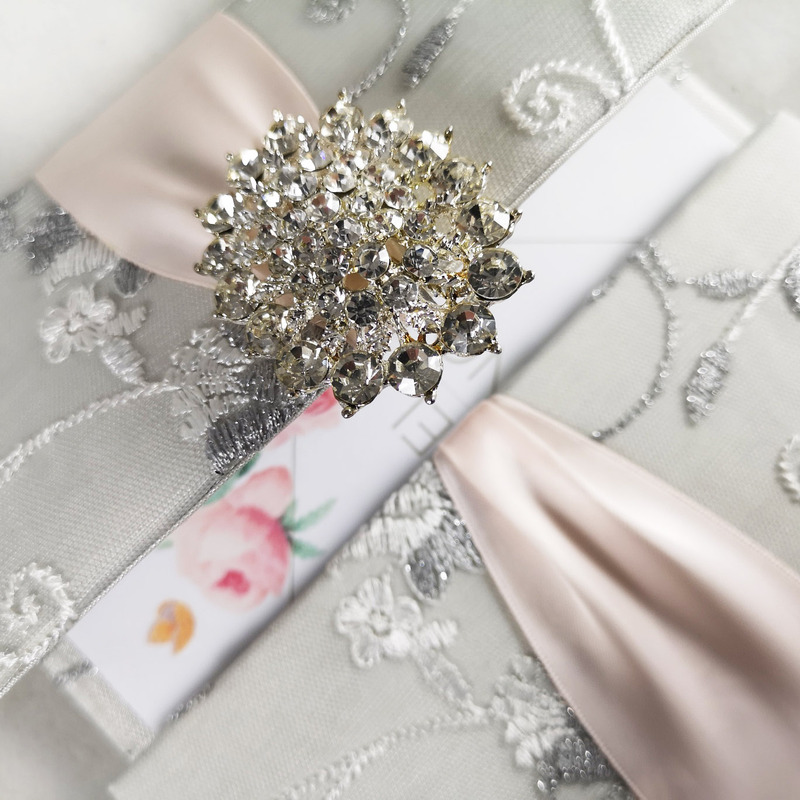 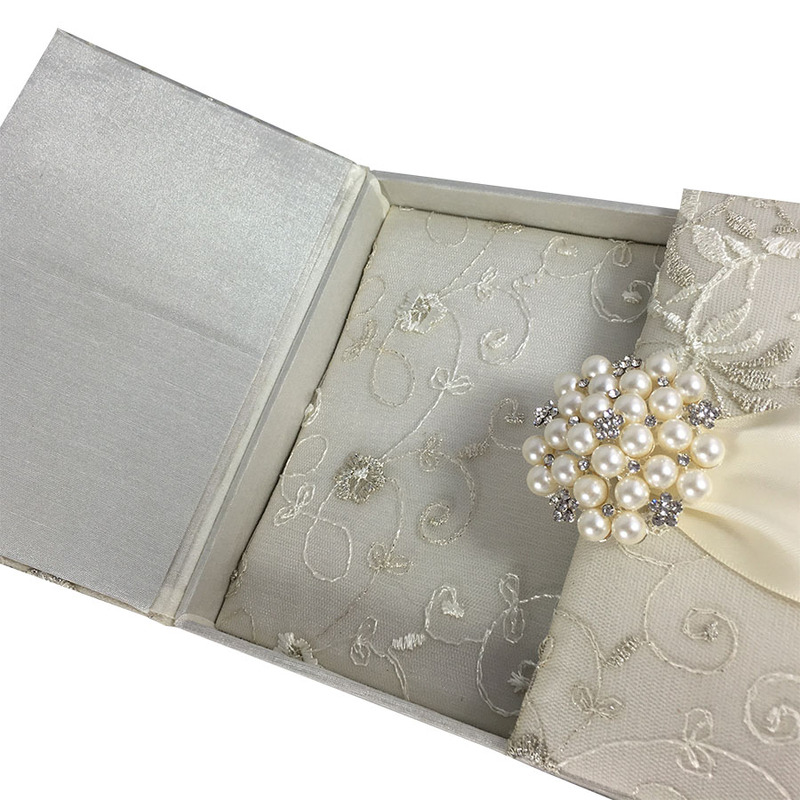 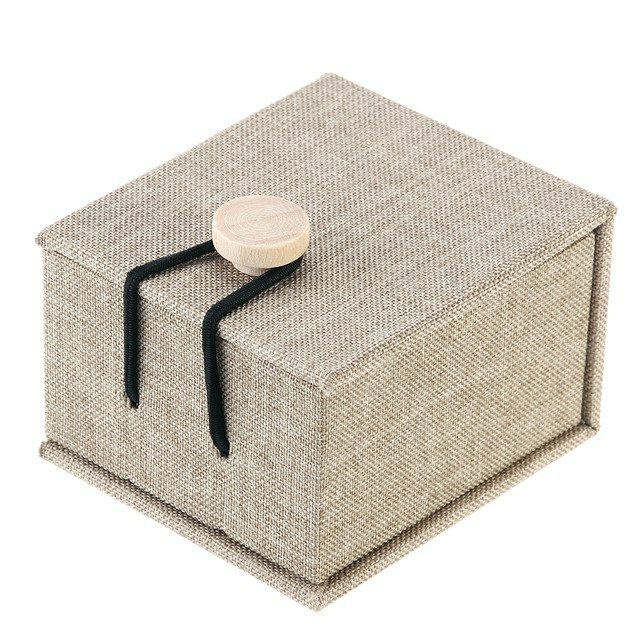 Whatever vintage theme you like, Dennis Wisser has a variety of boxed wedding invitations covered with lace and silk for you available. 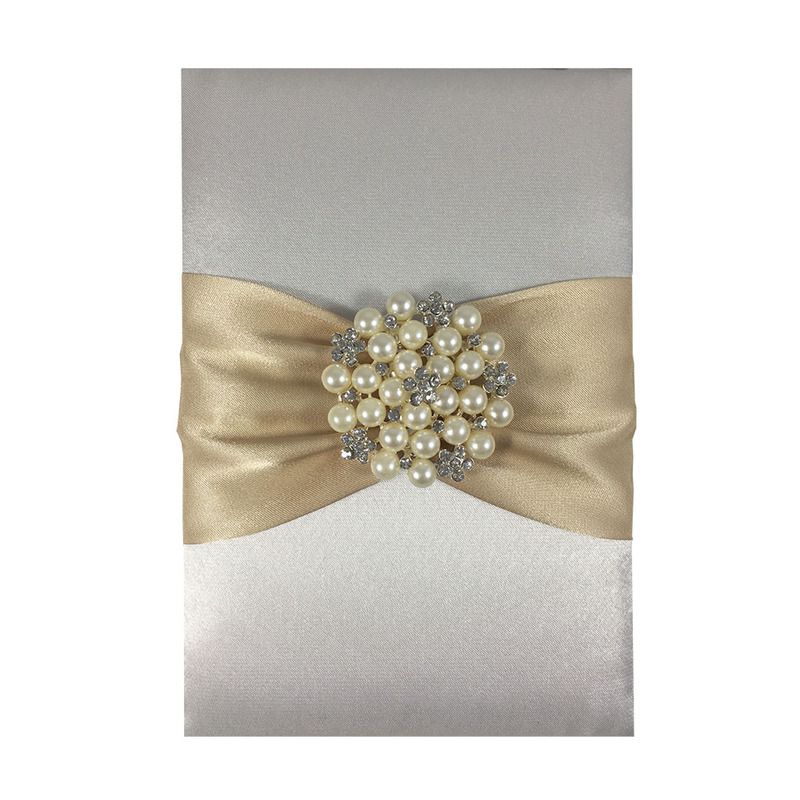 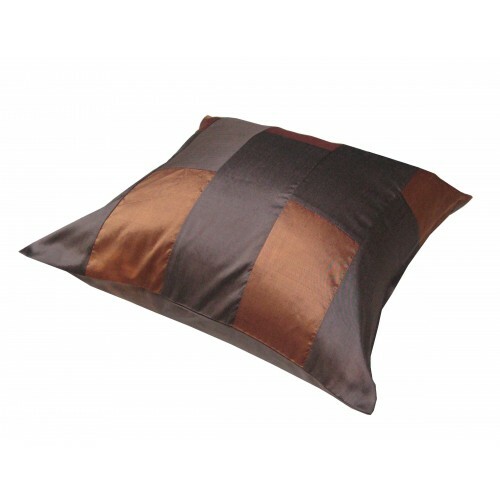 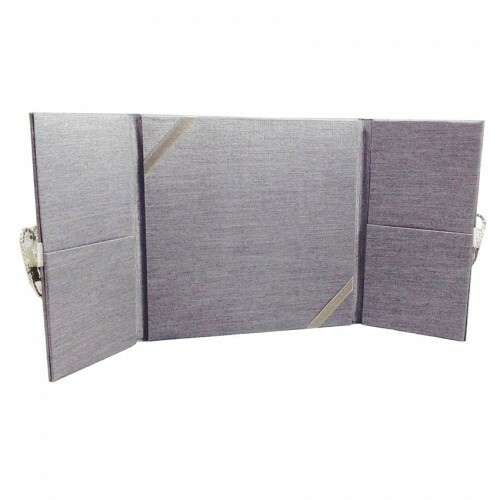 Unique and classy styles that can not be purchased elsewhere.